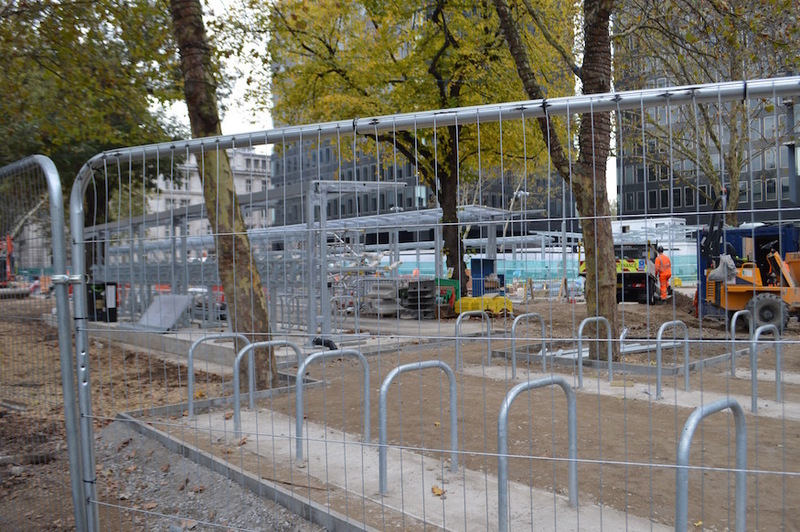 HS2 At Euston: What's Going On Behind The Hoardings? 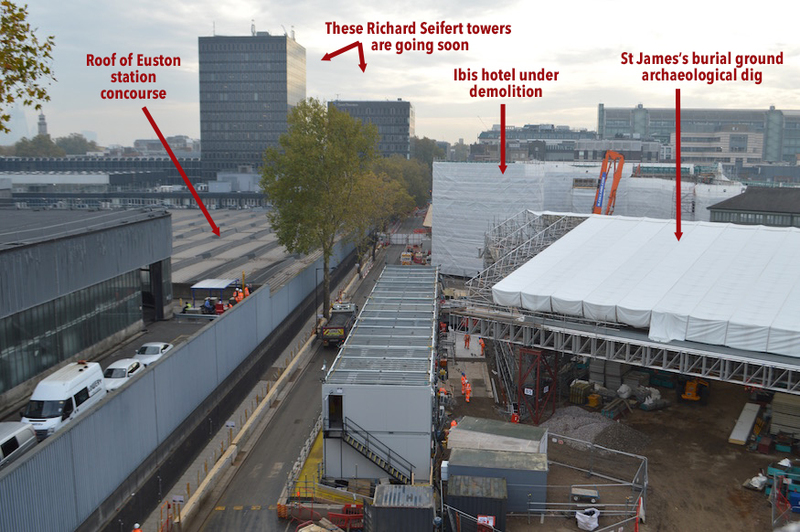 M@ HS2 At Euston: What's Going On Behind The Hoardings? Prep work on the HS2 project — the new fast rail line from London to Birmingham — is well underway. We're going to bring you regular updates on the progress, including the below, written in November 2018. 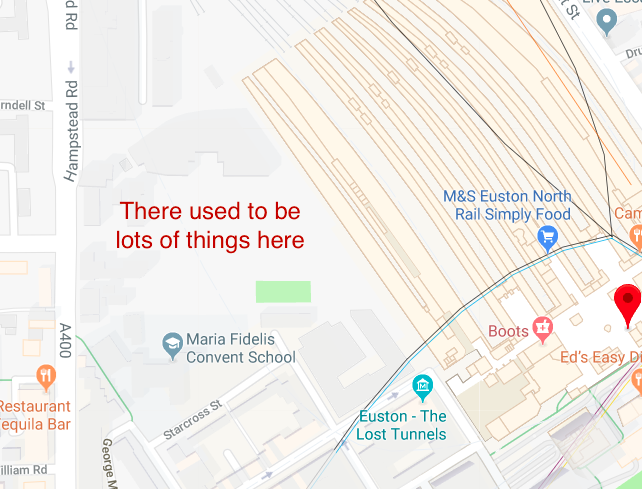 If you use Euston station regularly, then you've probably clocked that some pretty serious engineering works are taking place beside and in front of the station. But what's going on behind the hoardings? HS2 engineers cordoned off the area some time ago. Most of the buildings remain — just about — but their days are numbered. The scouring of the land is to make way for six new HS2 platforms. Ah, the fair Thistle Hotel. Not long for this world. 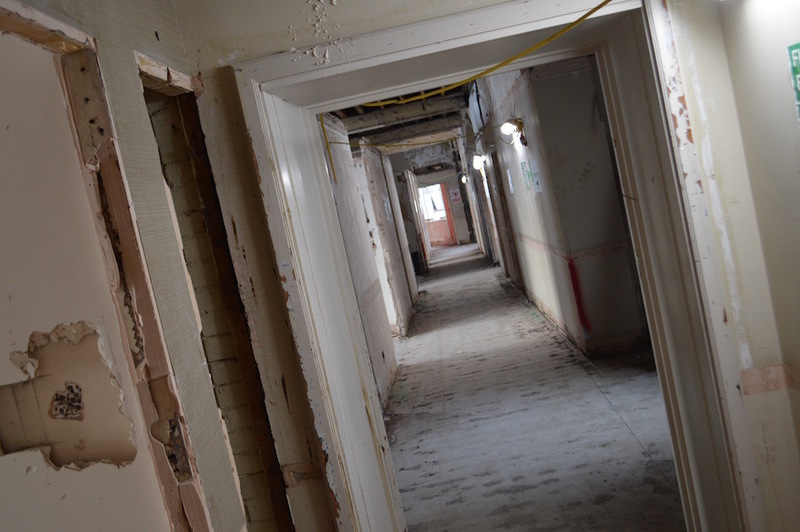 Inside, the corridors and rooms have already been stripped of furnishings, and some internal walls are in crumbs. 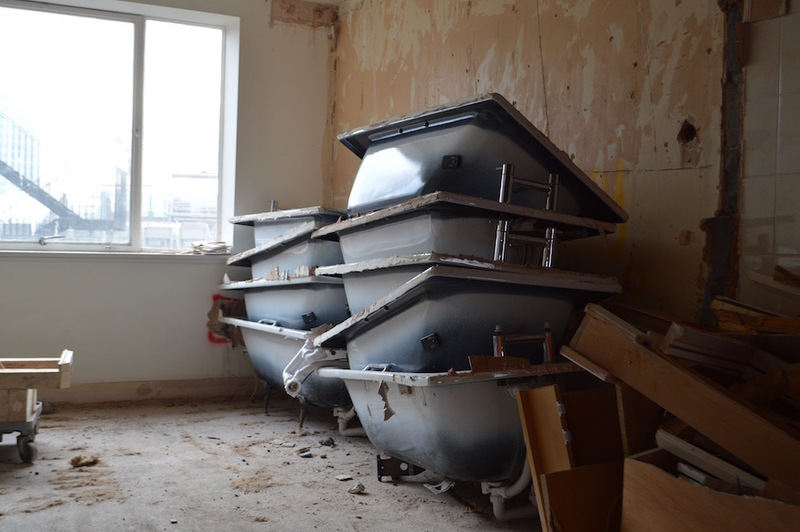 Get your bathtubs here, nine for a pound. From the roof of the Thistle, we can see the site of the enabling works more clearly. Pretty much everything in the photo below will be demolished or radically altered in the very near future. 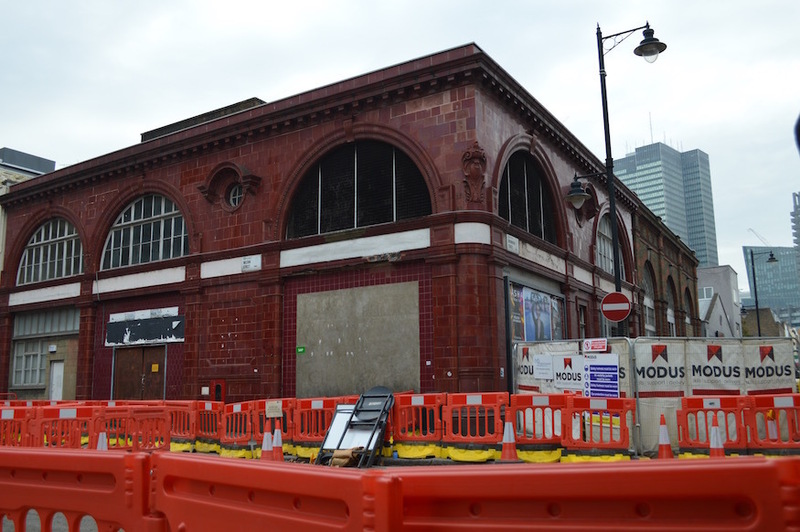 One of the last things to go will be the old Euston station, its ox-blood tiles a distinctive landmark on these streets for 110 years. It is not listed, and must make way for 21st century trains. 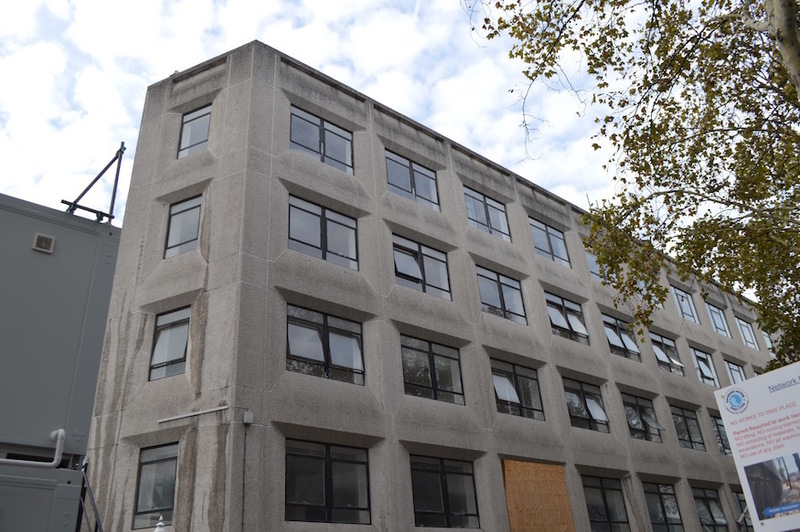 We can only hope the façade is preserved off-site by a heritage group or museum. Alongside the demolition, archaeologists from MOLA are busy peering into the past. Their dig site is huge. 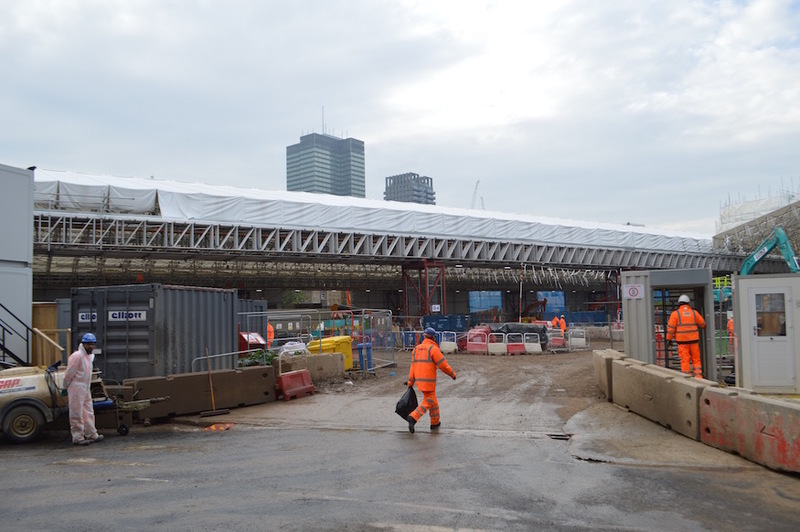 From afar, the white canopy protecting the excavations might be mistaken for a temporary rail concourse. Just a few months ago, this site was a public park with mature trees and five-a-side courts. This was the former St James's burial ground. Archaeologists reckon some 45,000 skeletons are packed beneath the soil. All will be removed and reburied elsewhere, with the guidance of the Church of England. The archaeological dig from above. Note, archaeological work is done carefully by hand — the heavy machinery is for clearing spoil. Some notable internees are about to be evicted. The burial ground was the not-so-final resting place of Captain Matthew Flinders, who was the first to circumnavigate Australia. You might have seen his statue (with cat) in front of Euston station. Also down there are Lord George Gordon (of Gordon Riots infamy), auctioneer James Christie, and a run of notable boxers including Tom Cribb (remembered for his pub in Leicester Square). The dig is fascinating and controversial in its own right, and has been covered in more detail by many news outlets around the world. The new rank is necessary as the existing one sits right underneath those unlovely Richard Seifert towers we labelled in that earlier photo. It'll become a demolition site, hence those seeking a cab will soon be directed to the front lawn... or what used to be the front lawn. Meanwhile, other sections of the front area are cordoned off in preparation for the demolition squad. 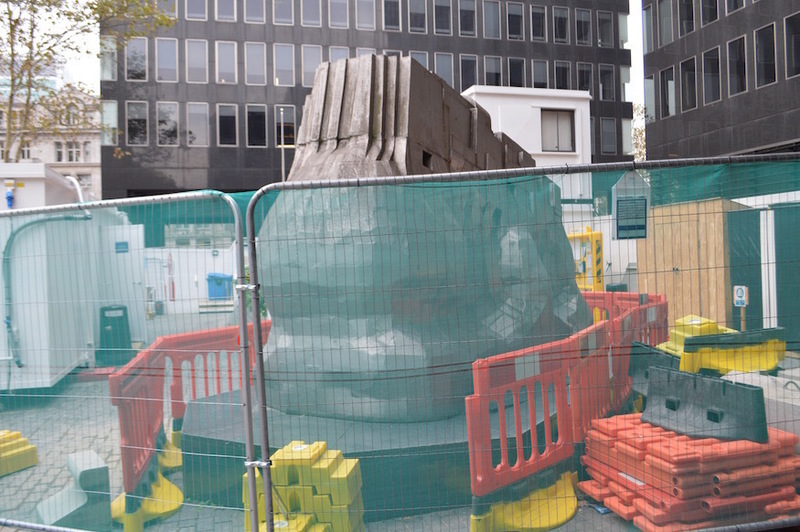 The sculpture by Eduardo Paolozzi (creator of the Tottenham Court Road mosaics and the British Library's Newton statue) is awaiting removal to storage. Even the statue of Robert Stephenson is going into hibernation, as Euston continues its great transformation. 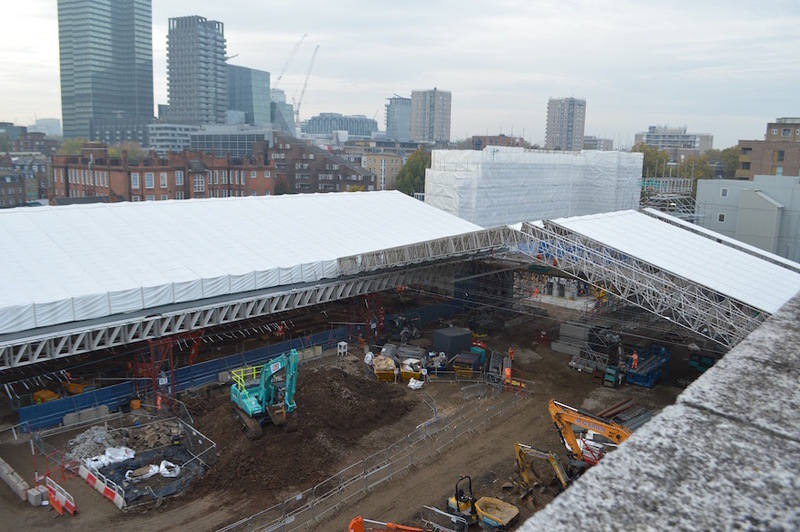 View footage of the changes taking place at Euston in our YouTube video report from Geoff Marshall.